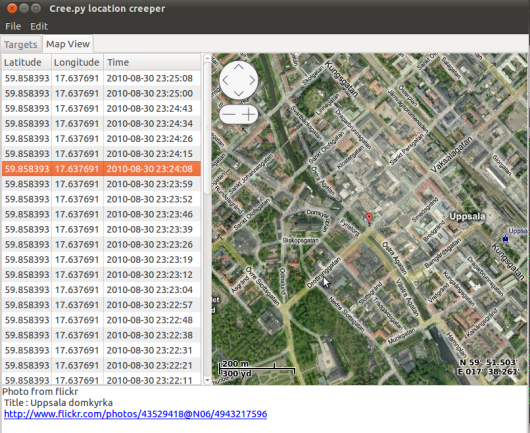 Creepy is a utility written in python that gathers geolocation from various social networking and image hosting services. It presents this info in a map in the application. This is a useful utility in the information stage for pentesters or social engineers. Go to the tool’s website to get more information or to download the application.